We are beginning with the premise that a practicing Christian is one who belongs and participates in committed to a local Christian community. Kids (and people of all ages) become Christians through practicing Christian community. 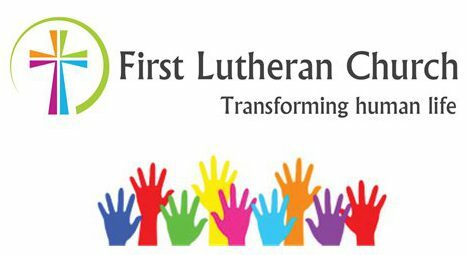 Therefore, our primary goal in LOGOS is the same as that of the First Lutheran faith community: to transform human life into Christ-likeness through practicing Christian community. To this end, we are simplifying and structuring time on Wednesdays for practicing Christian community. The term “we” below refers to persons of all ages. We will explore together what it means to live as a practicing Christian community. We will engage in elements of this kind of community that bring us into a fuller sense of who we are and what God is calling us to be. Our time together on Wednesdays will always begin around tables, sharing in a meal. After that, instead of immediately dividing ourselves into age & grade level groups, we will gather in cross-generational “Family Groups”, comprised of 3-4 families and individuals. In these Family Groups, there will be opportunities for building cohesive, trusting community, learning, sharing, blessing, and serving. Following time in Family Groups, we will rotate every other week between engagement in Recreation Time as an all-ages experience and an opportunity for small groups of similar age children to be together with adult guides for Bible study and sharing. LOGOS includes worship with family and friends on Sunday mornings, along with the whole faith community and guests. This shift in our approach to LOGOS is part of a process we are engaged in as people of God, listening to the promptings of the Holy Spirit, and will continue to evolve. WHAT IS THE LOGOS MINISTRY? The LOGOS Ministry is a mid-week faith formation ministry for PreK – 12th grade children, youth, and families. It is biblically rooted in the characteristics which describe the early Christian community in Acts 2:42. LOGOS is the theology and practice of Christian relationships in action. LOGOS is about building relationships…nurturing and equipping God’s children. deepen, strengthen, and build personal faith relationships with Jesus Christ as Lord of all life. develop intelligent, active and loyal membership and leadership in the church of Jesus Christ. ✠ give worthwhile study, wholesome recreation and opportunities for service all bound together in a true Christian context. develop the kind of Christians who are able and willing to communicate their faith, and to assume personal responsibility for assisting with the building of God’s Kingdom on earth. What does the word “LOGOS” mean? In our Jewish and Christian heritage there is no word quite like “LOGOS.” The term has been used to describe “WORD”…the way God has been shown to us specifically as JESUS CHRIST. It also means “only one of its kind.” We are each made individually in the image of God.